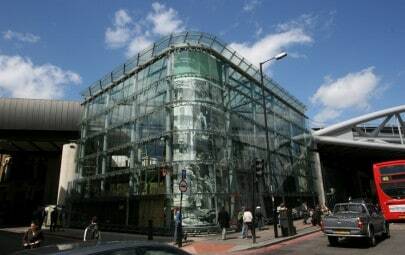 Architen Landrell was approached by Canary Wharf Contractors Ltd to design, manufacture and install a series of printed glazed facade screens to permanently hide an electricity sub-station located outside the Clifford Chance headquarters in London’s docklands that was visible through the full-height glazing at one end of its impressive lobby. 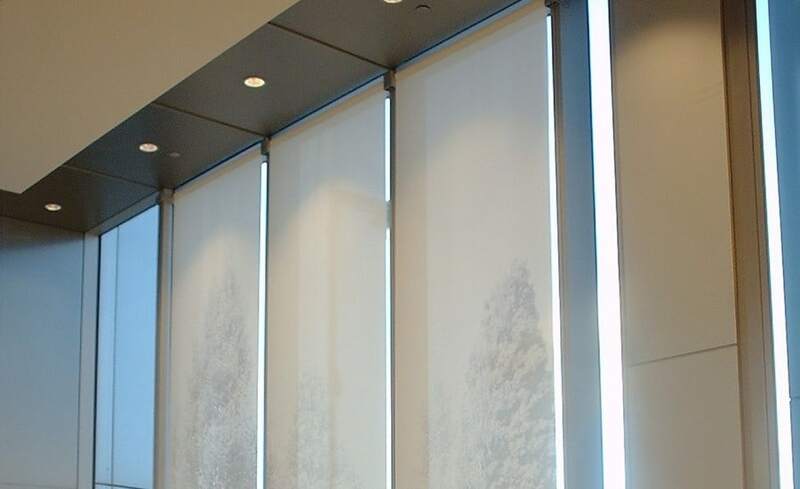 The main challenge with this project was to develop a bespoke clamping system that enabled the support and tensioning bracketry to attach to the curtain walling mullions without any drilling and without leaving any marks. 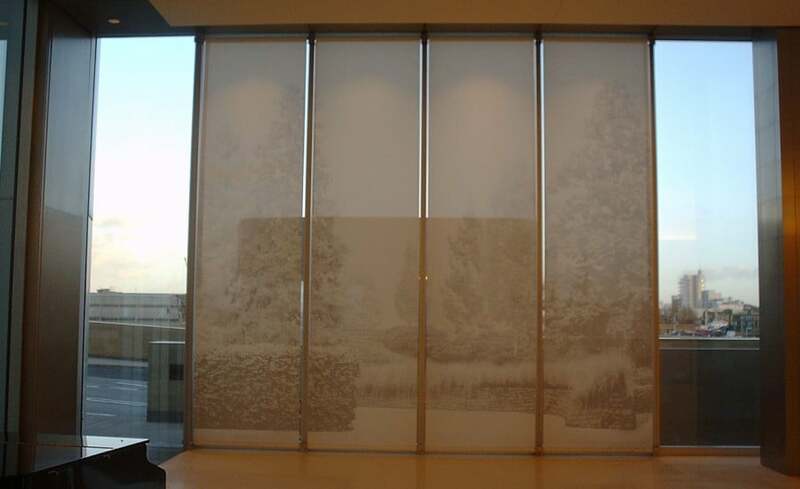 The PVC/glass mesh fabric was printed with a deliberately washed-out monochrome parkland scene to suggest foliage behind, and successfully masks the actual industrial reality within the enclosure. 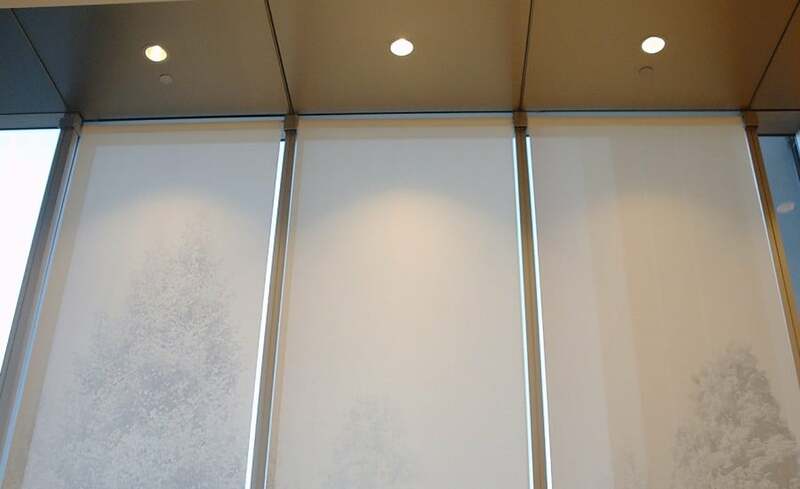 The screens have the added benefit of providing solar glare control to the fully-glazed lobby.